Explore Caribbean songs, rhymes, and games that Malaika would learn and play in her schoolyard. This is an interactive, lively and musical workshop featuring a reading of Malaika’s Costume, musical instruments, and storytelling as well. Educators will gain Afro-Caribbean songs, rhymes, and games that you can share with your Kindergarten to Grade 3 students. Songs, images, and other forms of media create windows into the Caribbean peoples who have made contributions to Canada. Through the Sankofa series books, Music and Media, as well as Malaika’s Costume, students will take part in dramatic arts activities such as role playing and readers’ theatre. In addition, they will deconstruct video and audio clips that explore the history and experiences of African descended people in Canada and the diaspora and enhance their understanding of the book. Have you ever wanted to write your own children’s book? Song? Rap? Or an alternate genre? I can help you. This workshop helps you to come out with a finished piece. This would be a panel of 3 to 5 children and young adult authors discussing such questions. What is the importance of diverse kidlit in 2017? What are some barriers for diverse children and young adult authors (if any)? What are your books about? Do your main characters deal with issues of diversity (e.g., racism, identity, prejudice, islamophobia)? What diverse books do we need in 2017? Depending on the needs of your group, school, library, or festival, I can create a specific presentation. Toronto-born of Jamaican parents, Nadia L. Hohn is an artist who self-expresses and works primarily in three genres– writing, art, and music. These genres intersect throughout her work. From the age of six years old, Nadia began writing stories, drawing, and making books while attending school in Toronto. Her first two books, Music and Media in the Sankofa Series were published by Rubicon Publishing in 2015. Her award-winning first picture book, Malaika’s Costume was published in 2016 and its sequel Malaika’s Winter Carnival 2017 by Groundwood Books. Harriet Tubman: Freedom Fighter in 2018, an early reader published by Harper Collins, and a non-fiction picture book in 2018. A nonfiction picture book about the Jamaican poet, performer, playwright, author, and Jamaican cultural ambassador, Louise Bennett-Coverley otherwise known as Miss Lou, will be published in 2019 (Owlkids). In 2018, Nadia was 1 of 6 Black Canadian Writers to Watch and the first SCBWI Canada East Rising Kite Diversity Scholarship recipient. Nadia L. Hohn studied writing at the Highlights Foundation, Humber College School of Writers, George Brown College, and the Voices of our Nation (VONA). She holds an honours arts degree in psychology from the University of Waterloo as well as Bachelor and Master of Education degrees from the Ontario Institute for Studies in Education at the University of Toronto (OISE/UT). Between 2000 and 2003, Nadia was the founder and national director of ICED IN BLACK: Canadian Black Experiences on Film touring film festival. She was a member of the Heritage Singers, a Caribbean folk choir currently in its forty-first year. Nadia is speaks five languages— English, French, Portuguese, as well as some Spanish and Italian. An avid traveler, Nadia has been to twenty countries and most recently to Brazil. where she conducted research for her young adult novel and curriculum alongside American teachers. 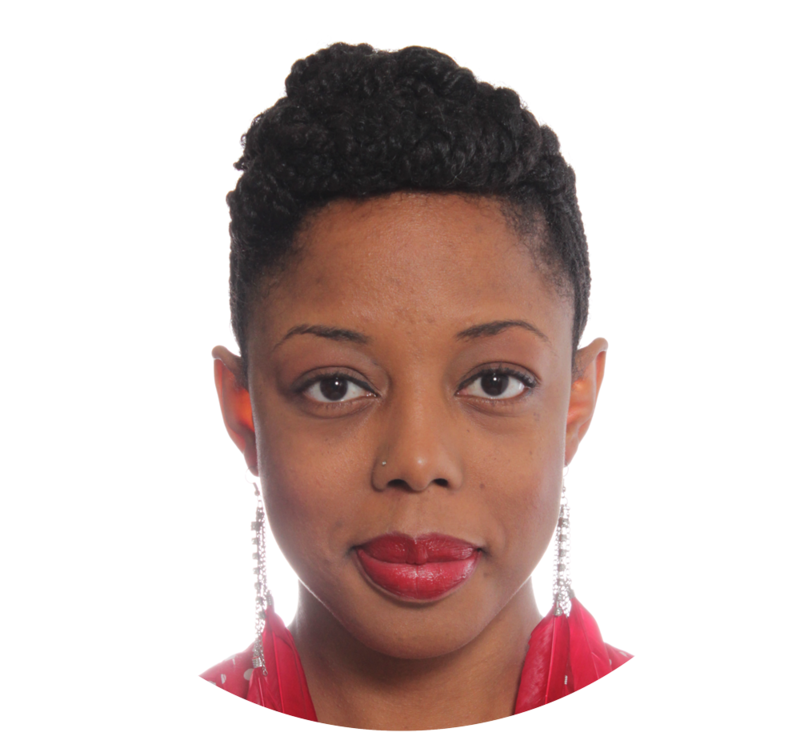 In 2015, Nadia L. Hohn co-designed and co-delivered a three-day program for Ontario teachers called Beyond Black History Month to help teachers find ways to integrate African-Canadian and diasporic culture and history throughout the curriculum. Nadia has presented and completed readings at schools, libraries, literary festivals, conferences, and bookstores in Canada, U.S., U.K., U.A.E., and Trinidad. Nadia is currently working on a young adult novel, a play, and her third Malaika… book. Nadia loves to write (songs, blogs, journals, stories), play piano, cook, study arts and cultures of the African diaspora especially Caribbean folk music, Orff music education, swim, and run. Nadia is an elementary school teacher in Toronto and has taught early years music in Dubai and Abu Dhabi, UAE. She is a proud member of the Elementary Teachers Federation of Ontario (ETFO), Ontario College of Teachers (OCT), The Writers’ Union of Canada (TWUC), Society for Children Book Writers’ and Illustrators (SCBWI), Canadian Society for Children’s Authors, Illustrators, and Performers (CANSCAIP), and a presenting author with Authors’ Booking Service (ABS). Nadia is a cancer survivor, a cheese- and dessert-loving vegan, and avid reader who reviews books on Goodreads and other publications. Nadia lives in Toronto where she writes and teaches at an elementary school.